It’s Your Round! was developed with Creative Arts East with support from Arts Council England as an instrument to encourage non-theatre audiences into theatre venues. The event fuses the traditional pub quiz with interactive performance, actors planted in unexpected places and whole rounds created bespoke for your locations. 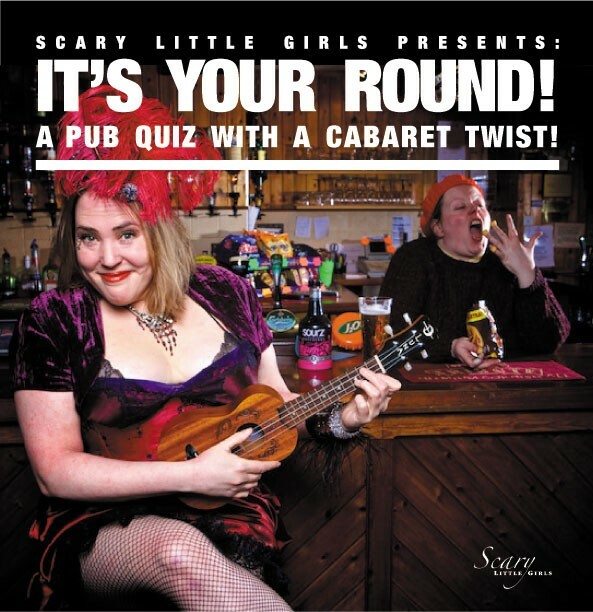 Scary Little Girls specialise in presenting intelligent entertainment in a totally accessible format – expect our unique take on the picture and music rounds and enjoy the literature, movie & general knowledge rounds coming to life in a way never before seen in a pub quiz!